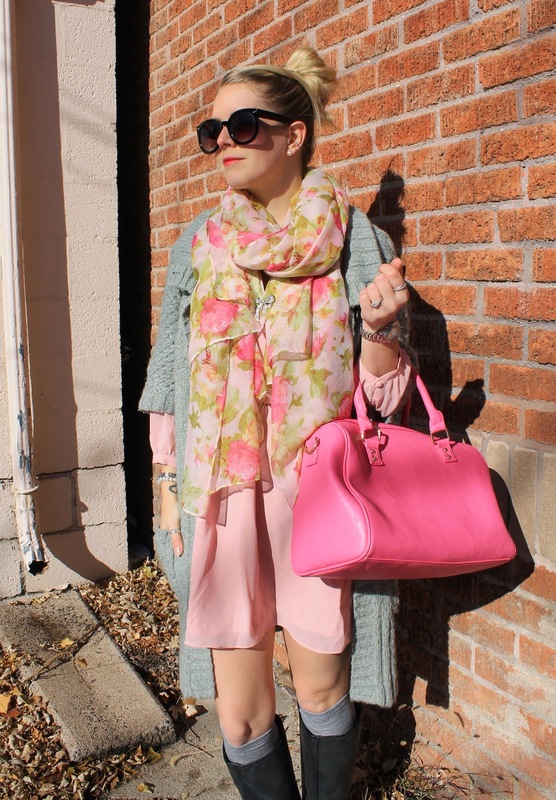 Citizen of the World: Pinks and Greys! Hope you like the look! Enjoy! I love your scarf. This is a great look. Loving this - so girly and cute! Wonderful mix of gray and pink colors~!